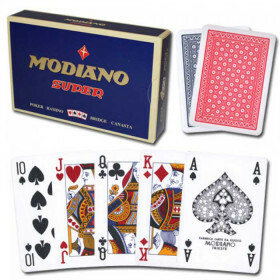 One set of Modiano Burraco plastic playing cards, red/blue, poker size with 4 color index. 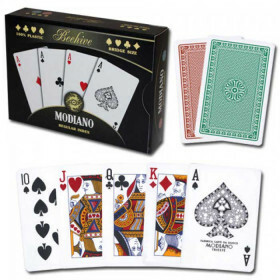 This deck of cards is a specialty deck for the game of Burraco. 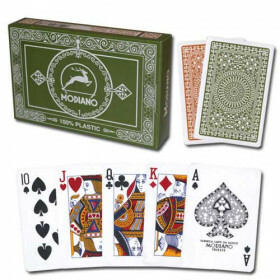 This deck is 100% plastic and is made by Modiano. 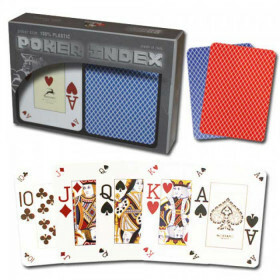 100% plastic cards are typically 20 times as durable as their plastic coated counterparts. Plastic Decks are also waterproof, will not show wear, are resistant of damage, and will deal with professional ease. 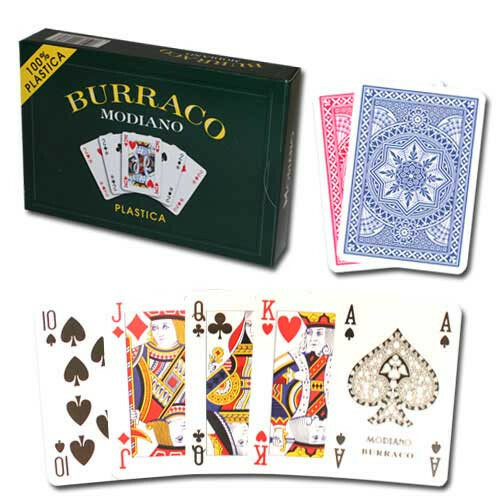 Burraco is a Rummy-type card game for four players in set partnerships in which the aim is to lay down a combination in groups of cards of equal rank and suit sequences, there being a bonus for a combination of seven cards or more. 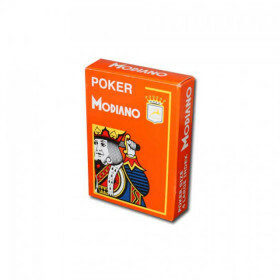 Burraco is a variation of Canasta, originated in Uruguay and Argentina in the mid-1940s, with apparent characteristics of simplicity and implications that are often unforeseeable and absolutely involving. 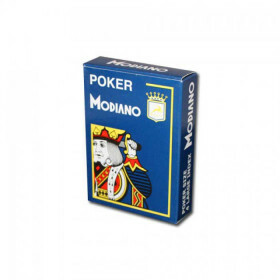 Its name derives from the Portuguese word "burraco" which means "hole", applied to the minus score of any of the two partnerships. 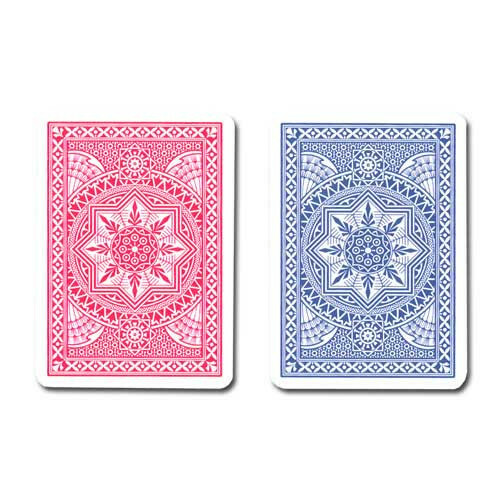 Burraco is played with two 54-card decks (52 cards and 2 jokers) of standard playing cards for a total of 108 cards. Team members sit opposite each other, so that no team member is sitting next to their own teammate.